Apex Tactical announces its Action Enhancement Triggers, designed for Gen 3 and Gen 4 model Glocks, will work alongside the newly released 43X and 48. 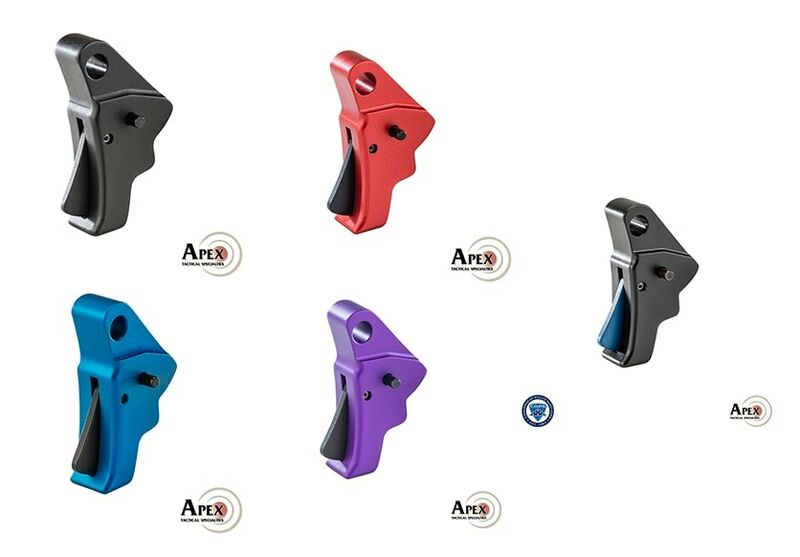 Apex said the Action Enhancement Trigger models available for the Glock 43X and 48 include a variety of colors to cater to consumers’ needs including Black Anodized, Red Anodized, Purple Anodized, Blue Anodized and Thin Blue Line. The Apex Action Enhancement Trigger features a direct drop-in replacement style reduces overall trigger travel while adding a crisp trigger break. Additionally, Apex says the Action Enhancement Trigger offers a smooth uptake and reset. The trigger body does require the stock factory trigger bar in addition to removal of the factory trigger. Alternatively, customers can use and install a factory trigger bar purchased separately. The Apex Action Enhancement Trigger is available through the company’s website with prices ranging between $74 and $84 depending on model. The post Apex Tactical boasts triggers for Glock 43X and 48 models appeared first on Guns.com.